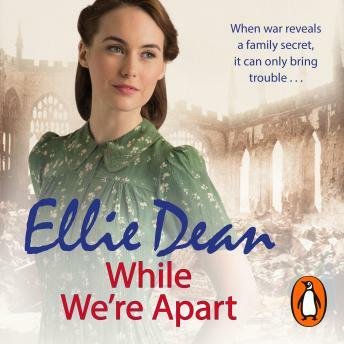 The compelling new Second World War novel from Sunday Times Top Ten bestselling author of Some Lucky Day. It is 1942 and England is at war. Mary Jones has just celebrated her eighteenth birthday and said goodbye to her childhood sweetheart Jack, when she learns that her house has taken a direct hit during a tip and run raid. With both her parents dead and her home destroyed, a distraught Mary moves in with Jack's parents. But her father's trunk is still intact amid the ruins, and Mary discovers a shocking secret amongst his diaries. Peggy Reilly's fearsome sister, Doris. When warm-hearted Peggy befriends Mary, she discovers the young woman's secret.